WE ARE AN AUTHORIZED GQF DISTRIBUTOR! 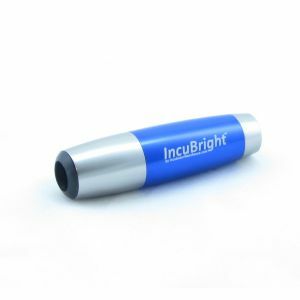 The Incu-Bright was designed with ease of use and affordability in mind. 6 super cool LED lights illuminate your eggs for easy viewing without cooking them. The soft rubber and plastic edges protect your eggs from damage and create a tight seal around the egg. This allows you to test the progress of your eggs during incubation, great for viewing the development process of the egg.